Providing you the best range of heavy machinery packaging services and wooden pallets packaging services with effective & timely delivery. 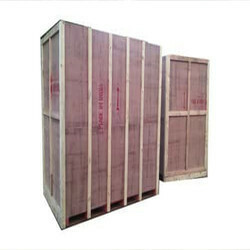 We offer Wooden Pallets Packaging Services. The pallets find their wide application in various industries. The pallets are manufactured according to the predetermined industry guidelines. Before making the final delivery, each product undergoes a series of quality checks. Our products are highly preferred by the clients for their superior quality. We ensure that the products are of genuine quality and hence use only the premium raw materials in the manufacturing process.